The contemporary extension at Newnham College needed a first-class lighting scheme, and it was our job to create one. 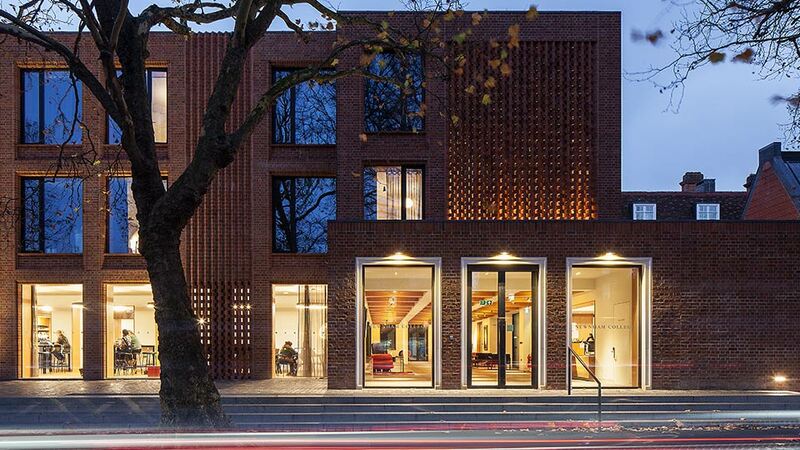 The lighting gives the new wing an inviting warmth, while addressing the college’s practical needs, and the scheme incorporates a light-filled homage to notable former students and research fellows. In the café and social space a large-scale chandelier creatively connects the present with the past. 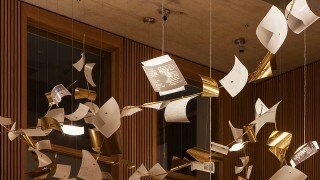 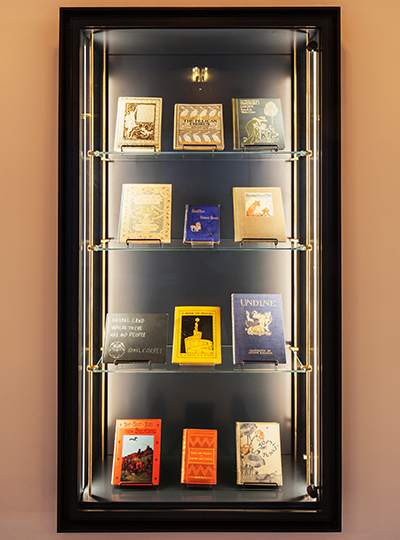 Comprised of flying “pages” the piece is etched with documents and letters, written by women associated with the college, some of which can be read from the first floor. 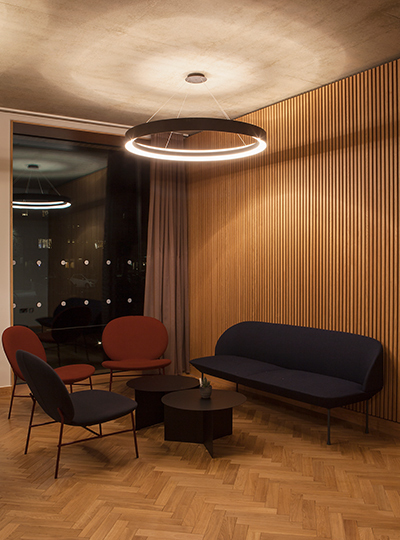 Carefully positioned lighting within and surrounding the installation adds to the theatre by creating playful shadows. 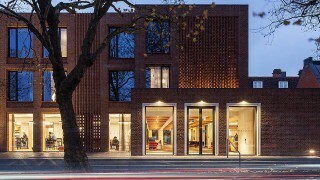 Another installation highlight is on the building exterior: a tall, narrow artwork by Turner Prize nominee Cathy de Monchaux. The sculpture needed carefully considered lighting, so we visited the artist in her studio to determine the right colour temperature and type of illumination. The result is a narrow, powerful uplight that reveals the textured surface and prevents light spill. 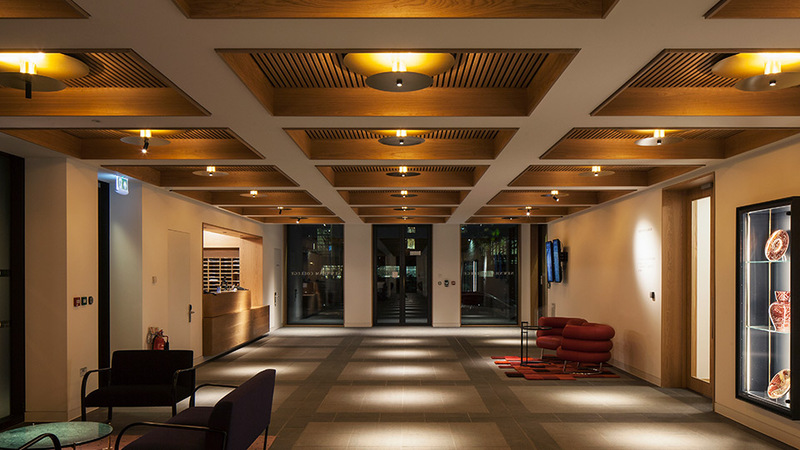 Back inside, the entrance space has a sense of rhythm thanks to multi-functional feature ceiling pendants, which illuminate the wooden coffers along with either highlighting artwork on the walls or creating pools of light below. 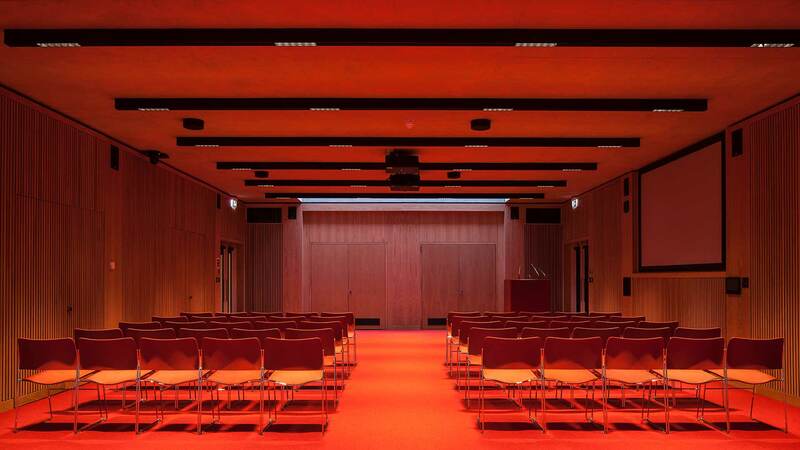 In the auditorium, to complement the industrial feel, we chose to use surface mounted, piano-black linear lighting profiles. 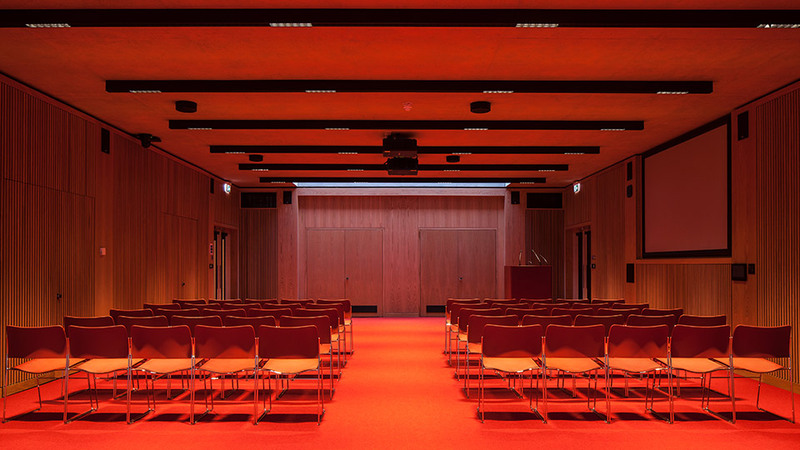 The striking, graphical light fittings make the perfect statement, and house low-glare LEDs for visual comfort within the educational setting. 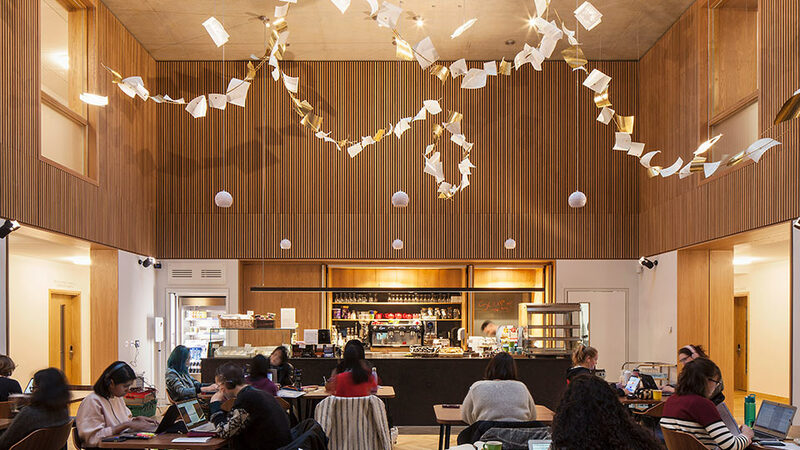 The history of the college that's reflected in the main lighting installation, telling the inspiring stories of pioneering women.